Students are introduced to ancient Rome through its physical geography. 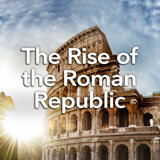 They learn how geography impacted ancient Rome and its rise to power. Next, they learn about the Etruscans, Carthaginians, and Greek colonists of Italy, and explain how these three cultures influenced Rome‚Äôs beginnings. Finally, they read the legend of the founding of Rome by Romulus and Remus. They evaluate which parts of it may be based on reality and which parts are fantasy. Then, they write a brief realistic version of the legend. In this experience, students are introduced to ancient Rome through its physical geography. 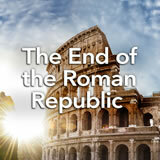 They learn how geography impacted ancient Rome and its rise to power. Next, they learn about the Etruscans, Carthaginians, and Greek colonists of Italy, and explain how these three cultures influenced Rome’s beginnings. Finally, they read the legend of the founding of Rome by Romulus and Remus. They evaluate which parts of it may be based on reality and which parts are fantasy. Then, they write a brief realistic version of the legend. The following resource in the Student Pack includes an excellent overview of the topics covered in this experience: The Geography of Rome. Advanced students may be interested in reading the entire article at the beginning of the experience. Other students may benefit from reading relevant sections during scenes 2–4. 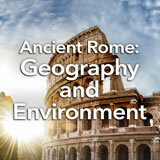 Locate and describe the physical geography of ancient Rome. Identify the ways that geography influenced ancient Rome. Describe the influence of other societies on Rome. Two thousand years ago, they had indoor plumbing, safe drinking water, great roads that went across Europe, immense sports stadiums, and police and fire departments—modern conveniences that other empires didn’t have at the time. They were the ancient Romans. In this experience, you’ll be introduced to their world. Take a look at the topographical map below. Test yourself and see if you can label any of it—land or water. Even if you don’t know, take a guess and label something on the map. Discuss student responses. See if students can guess what this location is. Now take a look at this map to see the area fully labelled as it exists today. Based on the maps you’ve looked at and what you know about geography, how do you think the geography might have influenced the region? Discuss student responses. Students will likely note that Italy is a peninsula, which means there is a lot of water, which can mean contact with other cultures and potential trade or it can mean isolation. Students may also note that the peninsula is connected to the Mediterranean region, which means warm climate and related agriculture.